In September 2014 I cycled the British Heart Foundation’s London to Paris ride having signed up a year previous. In the training period I cycled London-Cambridge, London-Oxford, London-Brighton and London-Deal and I definitely got the bug. In London I commuted to work but it had only ever been between 12-26 miles a day, so nothing comparable for what I’m about to do. Someone has suggested attempting to ride through every country in the world… it’s not a bad idea. Watch this space. 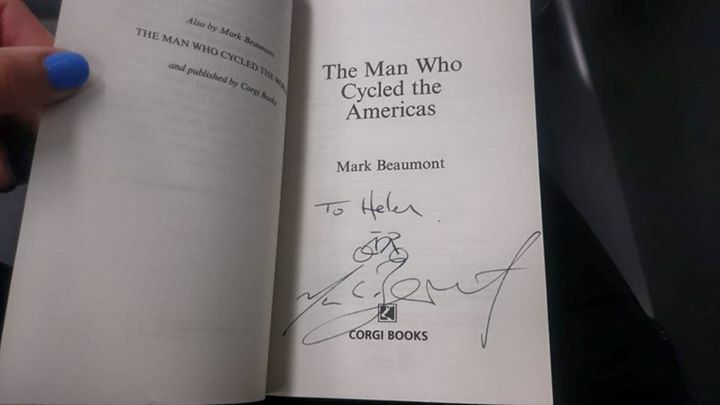 Books like Mark Beaumont‘s The Man Who Cycled the World and Rob Lilwall‘s Cycling Home from Siberia have been inspirations for longer distance cycling, although cycling the world may be a bit ambitious with the rest of my life plans. EDIT MARCH 2016: I’m now planning a cycle around the world. Follow our adventure here. I did film the London to Paris trip. It was only three days but I finished with a serene sense of calm and clear headedness which I strived to hold onto after heading back to work and the real world. It lasted about a month, which isn’t so bad. I was aware of the huge come down after the ride though, so I can only imagine it’s going to be even more of a bump to earth after 14 days of cycling holiday. Real post holiday/cycling blues. Since the trip people have asked me why I did it considering the money spent and the pain felt my only answer to really underline all the other half arsed reasons is because I could, and why not?